Live reveal event going down on May 23. 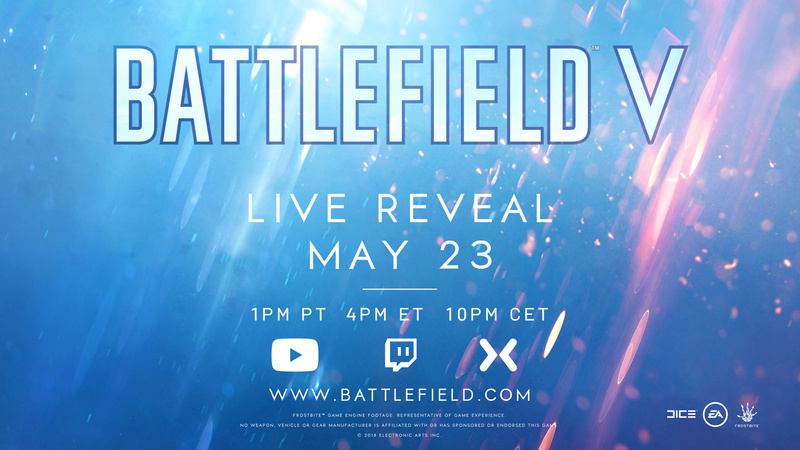 EA’s DICE production of Battlefield V is finally hitting the eye’s of the public for the first time a week from now on May 23. In a live event scheme hosted by Daily Show host Trevor Noah. You’ll be able to watch the stream live on Twitch, YouTube or Mixer at 4 PM Eastern / 1 PM Pacific. We should have a better idea of what setting Battlefield V takes place by the end of the stream.